Official UK site reveals release date and setting. According to a large countdown timer that's been ticking away on CallofDuty.com for the past week or so, a massive reveal for the franchise has been prepared for 9:00 P.M. EST during TBS's televising of the NBA playoffs. But, for those of you who don't like waiting, don't have cable, or don't know the difference between a dribble and a dunk, Call of Duty's UK site seems to have jumped the gun, publicly revealing much of the information meant for tonight. 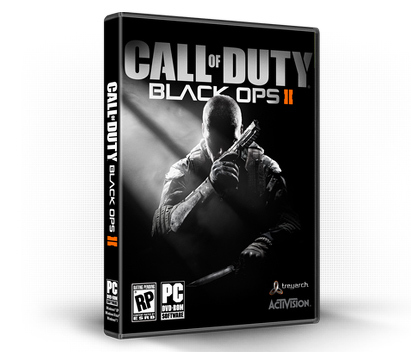 According to that version of the site, Activision's big to-do is the official announcement of Black Ops 2, which the site reveals to be hitting shelves on November 13th, 2012. 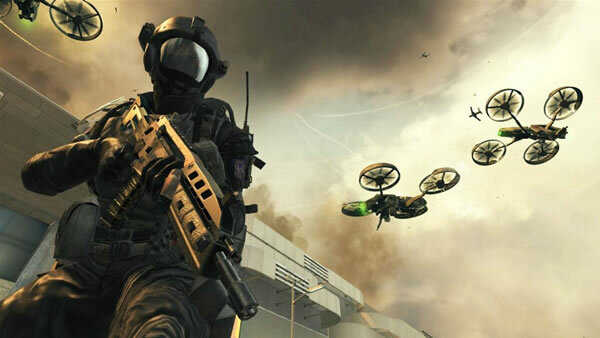 Aside from just the drop date, the site also details some of the game's setting, confirming numerous rumors that Black Ops 2 will take place in a much more modern setting than its predecessor. 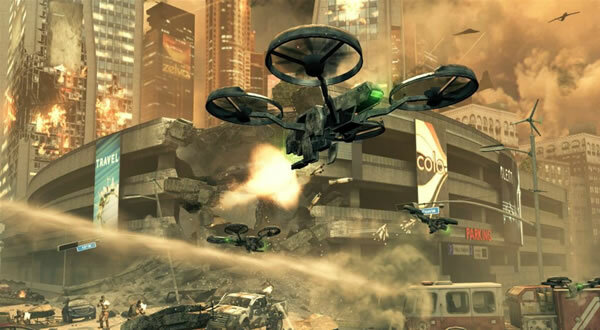 "Pushing the boundaries of what fans have come to expect from the record-setting entertainment franchise," the site reads, "Call of Duty: Black Ops 2 propels players into a near future, 21st Century Cold War, where technology and weapons have converged to create a new generation of warfare." A small handful of screenshots featuring the games quadrotors have also appeared, along with the game's official box art. There's a trailer, too, but we're probably going to have to wait on seeing that one; the video is set to private on YouTube, and since it's the same one set to appear on the standard version of the site (which is still in countdown lock-up) it likely won't be live until it interrupts a basketball game later this evening.